IDJ: To obtain an electricity supply in Hong Kong customers have to sign up with either China Light & Power Co Ltd or the Hong Kong Electric Co Ltd. 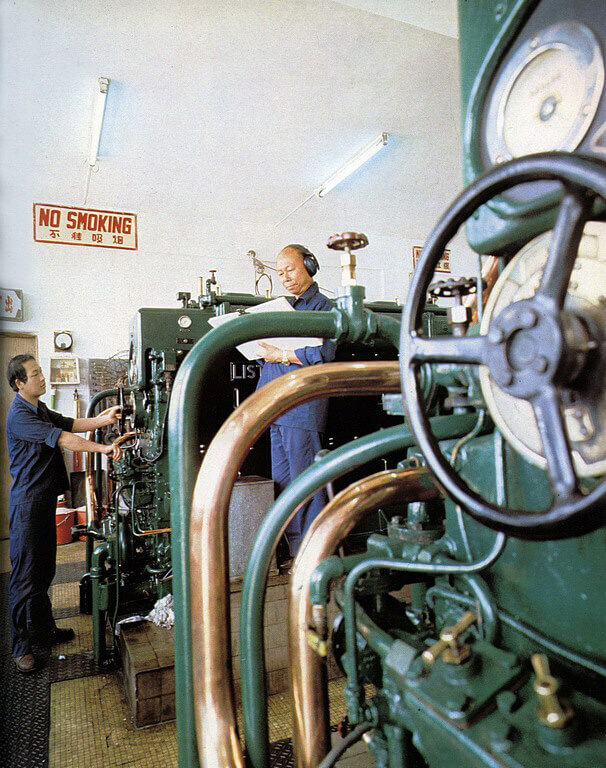 However, in the years before 1984 the residents of Cheung Chau Island were supplied from their own independent power station operated by the Cheung Chau Electric Company Co Ltd which had an office in Victoria. Electricity for public use was first generated in Hong Kong in 1890 by the Hong Kong Electric Company, but it was not until 1903 that electricity was reliably available in Kowloon from a new power station on Chatham Road built by the China Light and Power Co Ltd. Surprisingly in 1913 an electricity generating machine funded as a community project was brought into operation on Cheung Chau Island. It is assumed this was related to the fishing industry and powered a factory manufacturing ice for the large fishing fleet based there. Ice preserved their catches while at sea. At this time, generators/dynamos would have been driven by simple reciprocating steam engines or oil engines. The electricity output would have been a basic DC System (Direct Current). Electricity production was later taken over by commercial interests and ownership changed several times. As Cheung Chau Island developed, the distribution system expanded over the years as the commercial owners upgraded the systems. Electricity was supplied at 50 cycles, three-phase, on a four-wire system of 200/346 volts for domestic, commercial and industrial use, similar to the other providers in Hong Kong. It was not until 1990 that the government decided that all electrical systems in the territory should be upgraded to 220/380 volts at 50 cycles. 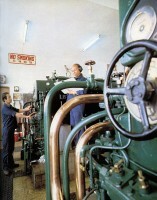 As customers increased the power station evolved to use diesel engines to drive the generators. In later years these were supplied by LISTER ENGINES from the UK. By 1982 the power station had an installed capacity capable of generating a respectable 8 mega-watts. With both major power companies supplying electricity to virtually everywhere in the territory by the 1980s, the isolated Cheung Chau operation had become an anomaly. During 1983 an agreement between the China Light & Power Co. and the Cheung Chau Electric Company resulted in CLP taking over the supply of electricity to Cheung Chau from 1 January 1984. In the future, electricity would be supplied via undersea cables from CLP’s widespread distribution systems and the power station shutdown. The writer did visit Cheung Chau around the time of the final ownership change and saw the power station building, but he could not place it on a map today. Recollections seem to place it not far from the piers and on a road leading up a slope or hill. However, an examination of maps of the island prior to 1984 does not show the power station’s location, although they do show schools, police station, hospital etc. Little appears to be known about the Cheung Chau Electric Company. Presumably its records have been absorbed by CLP? An on-line search of the company’s Hong Kong Heritage Project archive reveals nothing. Although on a timeline for 1984 they call the company The Cheung Chau POWER Company rather than the “Electric” company mentioned in the government’s year books.